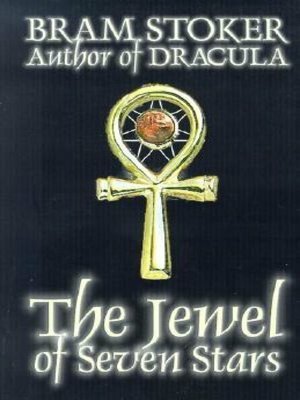 The Jewel of Seven Stars is a horror novel by Bram Stoker. An Egyptologist, attempting to raise from the dead the mummy of Tera, an ancient Egyptian queen, finds a fabulous gem and is stricken senseless by an unknown force. Amid bloody and eerie scenes, his daughter is possessed by Tera's soul, and her fate depends upon bringing Tera's mummified body to life.